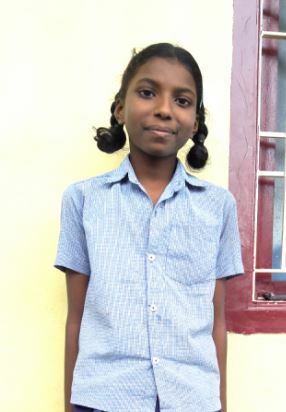 Sudha has no mother or father so her grandmother sent her to live at the orphanage. Her favorite subject is math and she would like to be a nurse. She is a very good and kind girl.